This picture seemed appropriate seeing as Villanova has just earned its first ever number 1 ranking, and because, they looked the part on Saturday afternoon. Now, it’s nice that a Big East team is the number 1 ranked team in the country, but pundits and fans are going to dismiss the resurgence of the conference once more if none of them can do some damage in March. Granted, the best team doesn’t always win the NCAA tournament, but you need a least a couple of teams winning some games to legitimize the conference in the public’s eyes. Villanova sprinted out to a 10-0 lead to start the game, took the crowd out of it, and pretty much had a handle on the Friars for the entire game, save for a late run by the Providence squad. This team’s just not going to be able to overcome every early deficit that they find themselves in. It didn’t help that Ben Bentil was playing on a hobbled ankle that was noticeably affecting him. 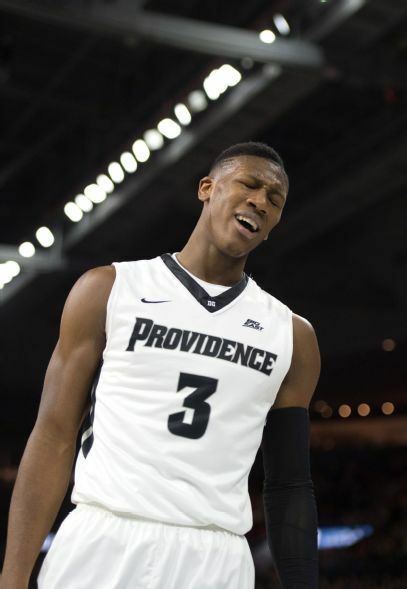 Kris Dunn continued his struggles and PC rounded out a week that they’d be more than happy to forget about. Kris Dunn struggled mightily on the offensive end for the second game in a row, shooting 4-15 from the floor for just 11 points, including 0-3 from three point land. Dunn also was off from the free thrown line going 3-6. That’s an aspect of his game that needs some improvement. Dunn has been missing clutch free throws lately, including the front ends of some crucial 1-and-1s. Dunn turned the ball over 6 times, recording just 3 assists in the process. Kris continued to try and force the issue offensively with Bentil running briskly on his ankle. The one thing you can always count on from Kris, even if he can’t get his offense going, is that he’s going to bring the effort on the defensive end…which in turn leads to easy buckets for the Friar point guard. Dunn finished the game with 4 steals, the fourth time in the last five games where he’s recorded 4+ steals. Ben Bentil was a step slow for the entire game. After Coach Ed Cooley had said that Bentil was going to play limited minutes, once the Friar got into a lightning quick 10 point deficit, Cooley was forced to throw Bentil into the game. After struggling in the first half for only 2 points, Bentil turned it on in the second frame, scoring 18 points to tally 20 total for the game. Ben ended up playing 34 minutes in the contest, many more than I’m sure Cooley was hoping for. Bentil has now scored 20 or more points in 8 of his last 10 games. One of those being the DePaul game were he was limited to just 14 minutes because of injury. Although Bentil was able to get things going offensively, where he was extremely vulnerable due to his lack of lateral movement was on the defensive end. Bentil recorded just 2 rebounds, well below his average of just under 8 per game. 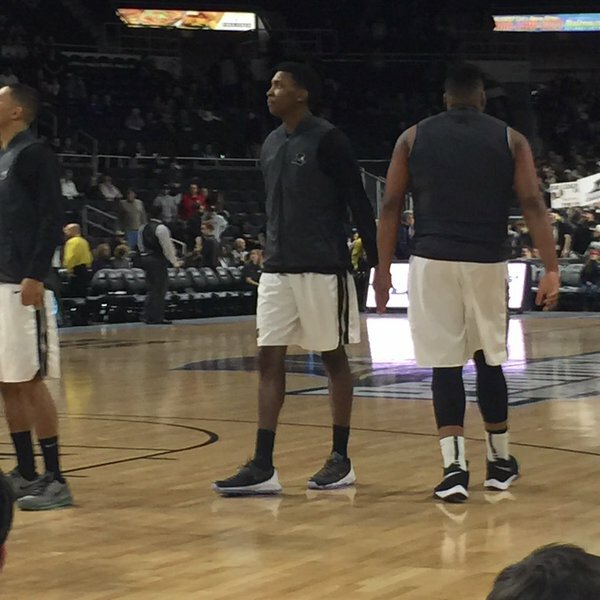 Ironically, Daniel Ochefu being out of the game (concussion) actually hurt the Friars in this one. Ochefu is a classic center who plays a mostly down low post-up game and who’s lack of speed would have been a much more preferred matchup for a hobbled Bentil. Back-up big man Darryl Reynolds got Ochefu’s minutes and certainly made the most of it, playing an almost perfect 36 minutes. Reynolds came into the game averaging just 2.2 points but made the most of his opportunity going 9-10 from the floor for 19 points and pulling down 10 boards. He looked impressive and Bentil just couldn’t keep up with him in his condition. I still can’t stand Ryan Archidiacono. Josh Hart absolutely KILLED the Friars on the boards. The Junior guard pulled down 13 rebounds, including 7 on the offensive end, every one of them seemingly coming in a crucial moment where Providence needed a stop. The Wildcats outrebounded the Friars 46-29. Over the last two games, the Friars have been outrebounded 94-53. That’s not good. Villanova also was a perfect 11-11 from the free throw line, which also made things a little harder for a comeback. In turn, the Friars were 13-18 from the free throw line. I feel ya Kris, I was making the face for most of the game too. 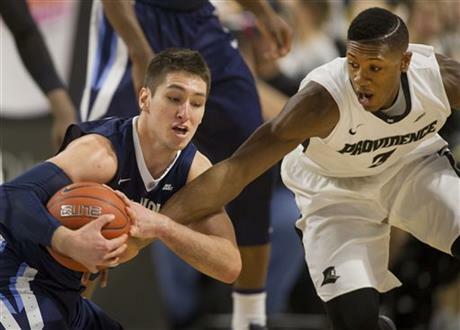 It looks like Jalen Brunson is going to take the flopping torch from Ryan Archidiacono. In both games against Providence he was out there flopping like a mofo. That vest that Quadree Smith was wearing in pre-game warm-ups was absolute fire. Kyron Cartwright was good for making up for Kris Dunn’s lack of dimes (8), but on the other hand, he was freezing cold from the field, unable to make a single shot the entire game (0-6). Ryan Fazekas looked so sweet from three point land again and I’m more than confident that he can keep this up for the remainder of the season. Now, if Dunn can get back to his old self and Bentil can get healthy…then we’d really be on to something. Jalen Lindsey started in place of Bentil and actually nailed some threes in the game. Keep doing that Jalen…although, preferably off the bench. Up Next, the Friars will travel to try and avenge their earlier season loss to Marquette on Wednesday at 7 PM on CBS Sports Network.